Ferran has been one of my biggest culinary icons since I learned of his work back in early 2007. 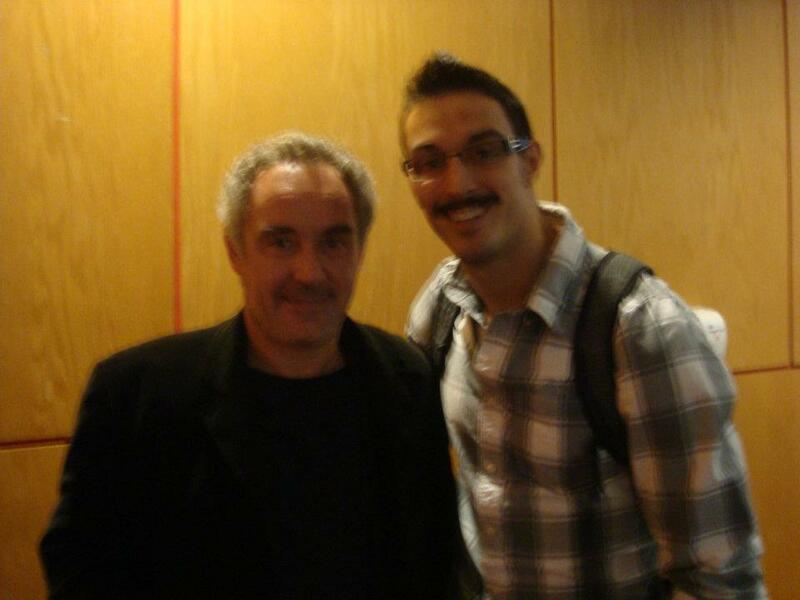 Getting to meet one of your icons is indescribable and when I met Ferran at Harvard University's Lecture Series all I remember is almost being at a loss for words and having this almost out of body experience. 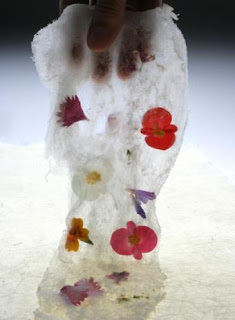 The man single handedly molded and shaped an entire two decades of culinary history, during which he created multiple new culinary techniques, such as foams and frozen powders, attained a 3 Michelin star rating, and received the title of best restaurant in the world for a record setting 5 times at his restaurant el bulli in Catalan, Spain. Many have referred to Ferran as being the best chef in the world and with his following and reputation I could only agree. The man is a culinary genius and seeing his creations provokes a sense of intrigue and whimsy. 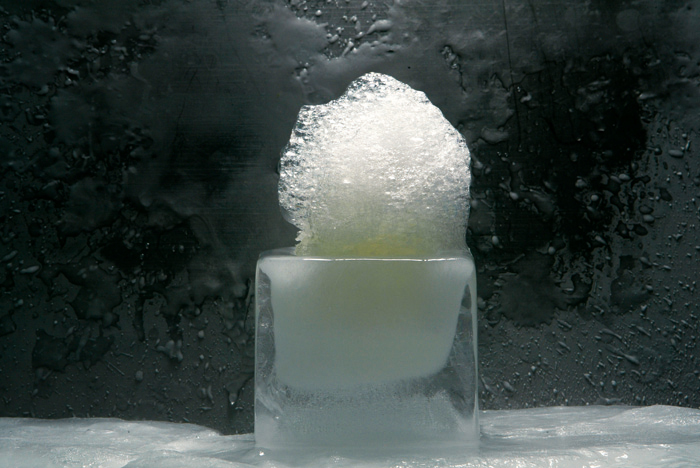 His creations have been photographed and cataloged into his tomes of el bulli books, which are grouped into certain years that depict his current representation of cuisine. Ferran is part Chef, part Scientist, and part Artist....all of which correlate back to the title of this blog. The field of Culinary Arts should be viewed through this scope because all of cooking is based on scientific reactions and it's plating should always be aesthetically appealing to the diner, considering we eat with our eyes first. 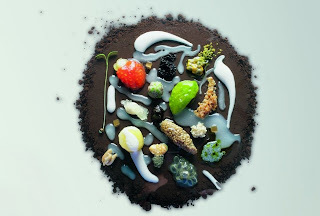 Ferran describes his approach to food as either deconstructivist cuisine or technoemotional cuisine. The reason he describes it as deconstructivist cuisine is because he is taking many classical preparations and stripping them down to their ingredients and then he puts them back together. Sometimes he even takes something from nature like the beach, a campfire, or a cloud and utilizes food and scientific/culinary techniques to represent the thought. Ferran's other cuisine description, technoemotional, was developed as a way to describe how the diner would be experiencing the food. They would be getting many different flavors, smells and textures presented to them in ways that would tantalize each one of their senses and provoke a certain emotional response with each bite all done from a technical perspective. When el bulli closed it''s doors in 2010 after a very dominate run in the culinary field Ferran sought to impact future generations of chefs. They have since transformed the restaurant and tallier into a research facility dedicated to the compiling of all the culinary recipes form around the world from past till present. This is a huge undertaking and the goal, which was discussed at the lecture I attended back in 2011, was to create an online database called BulliPedia. This wiki is how Ferran hopes to impact future generations of chefs. He stated that we as chefs want to be new and inventive, but how can we do that if we don't have a source to look to and find out if our idea is just a copy or a truly new idea? With BulliPedia the chef will be able to look at the recipe database and be able to create new dishes that are not just carbon copies of the original. This only scratches the surface of what the BulliPedia is destined to do. Please check out the below video as it is extremely informative. This was the video Ferran showed at the lecture and every time I watch it I get chills just thinking about how amazing this tool will be. If you thought Modernist Cuisine was an important installment to the culinary world...well just wait until BulliPedia is up and running. The food industry will be rocked!